Tech Review – Battle Stadium D.O.N. With the success of Nintendo and Sony in the technological and densely populated country of Japan, there are many games that are made completely exclusive to the country. One game in particular I became envious of its Japan-only playability was Battle Stadium D.O.N. The abbreviated characters stand for three very popular animes, Dragon Ball Z, Once Piece, and Naruto. These animes are popular in America as well, which is why I am perplexed as to why Japan isn’t sharing its title. I learned about the game during a company visit to Q-Entertainment, which happens to be one of the two developers of the game, along with 8ing. The game was released July 20, 2006 for Nintendo GameCube and Sony PlayStation 2, and received a game rating of 28/40 from Weekly Famitsu. Front cover of the game. Battle Stadium D.O.N. is primarily a multiplayer game, but it also has single player components as well. The multiplayer gameplay of Battle Stadium D.O.N. is very similar to the concept of Super Smash Bros.–a series of games in which popular Nintendo characters duke it out with combat styles mimicking their characters’ abilities in their host game. Each character in Battle Stadium D.O.N. has special abilities specific to that character, including the ability to morph a character into a new form, or transforming for a short period of time. The main difference between the two games though is the health gauge in Battle Stadium D.O.N. Unlike health gauges in traditional combat games where the opponents health must be reduced to zero to win, this game has a combined health meter, which means in order to win, the player must make the health of their character take up the entire gauge. In this way, the players can gain health back by reducing the health of the other players. This type of gameplay has the ability to create matches that never end, which is why time limits are an available setting. The multiplayer mode can have from two to four players during gameplay. Single player mode is not much different from multiplayer mode. The player fights against a computer, only this time, the player has missions to complete during combat, beside just defeating the opponent. The number of missions given depends on the difficulty chosen. The reward for completing the missions is a quantity of coins. The coins are then used in a slot machine which has the ability to unlock certain aspects of the game. The game appeals to me because it is so similar to Super Smash Bros. Melee, which was an immensely popular game when the GameCube was first released. It even utilizes the many of the same battle animations and combat items. It is as if they took the exact same game, replaced the Nintendo characters with anime characters, and added a couple new concepts, such as the health gauge. Another aspect of Battle Stadium D.O.N. I enjoy is how much more animated the gameplay is. It’s very colorful, fast-paced, and has silly voices that sound like the characters. Certain moments can be very intense, unlike Super Smash Bros. Melee, when characters perform super moves which halt the battle action momentarily to focus on a specific character’s intense moment of potential energy about to surge from their inner being, unleashing an attack that just about consumes all other battle animation for a short period on the screen. Animes tend to be extremely expressive hand-drawn cartoons, and the video game does a good job of mimicking that overall atmosphere and behavior of the characters. 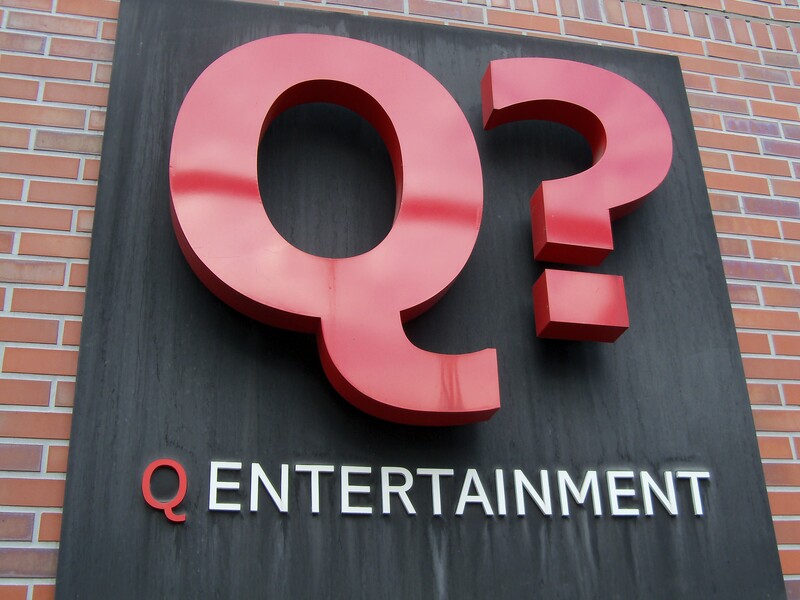 One of the more unique company visits was visiting Q Entertainment. The room we met in was very small for a group of 19 people, yet I felt more of a personal touch in this atmosphere. The company is only comprised of around 80 employees because it is a small, independently run company. I absolutely loved Meteos when it came out and it’s really great to be able to visit a company that I personally have supported. The CEO used to work for Sony, working on popular games such as Crash Bandicoot and Kingdom Hearts. He, in fact, was one of the founding members of Sony Computer Entertainment America, later to become senior VP of Sega Enterprise, then managing director of Disney Interactive, and finally the co-founder of Q Entertainment. Lumines was the company’s first game, which was very successful and widely used. Another successful game of theirs was Meteos. One unique thing about Q? Entertainment games is their focus on musical experience during game play. The company even has a band called Genki Rockets, which has a fictional lead singer and is present in some of their games including their new unannounced game. We were able to see many screenshots of artwork from their new game, but, due to the fact it was complete unannounced, could not take pictures. They also have a game called Battle Stadium D.O.N. which Is similar to Super Smash Brothers in America only it features Dragon Ball Z, One Piece, and Naruto characters from Shonen Jump magazine. Our first company visit was to D3 Publisher. D3 Publisher is a game development company, and their parent company is Namco/Bandai Games. 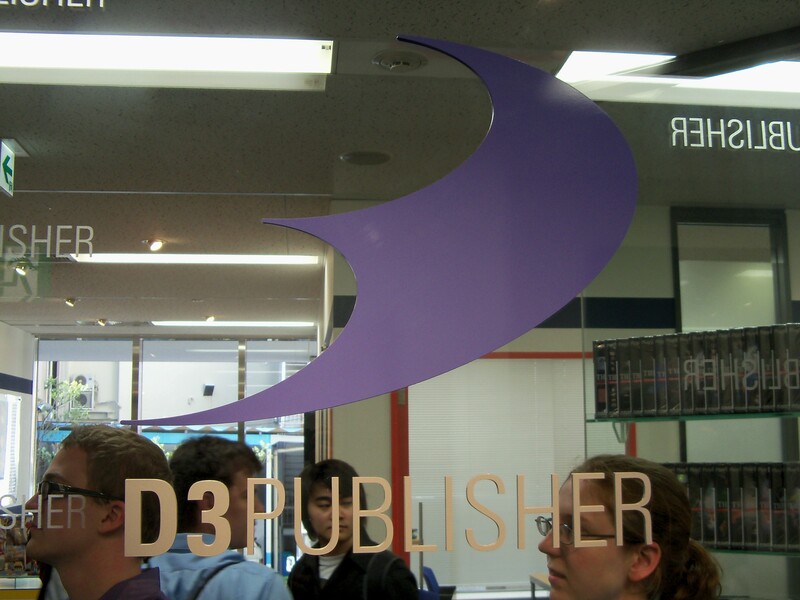 D3 Publisher also has a base in Los Angeles, which is why many of its games are in America as well. The CEO, Okajima, gave us our presentation. 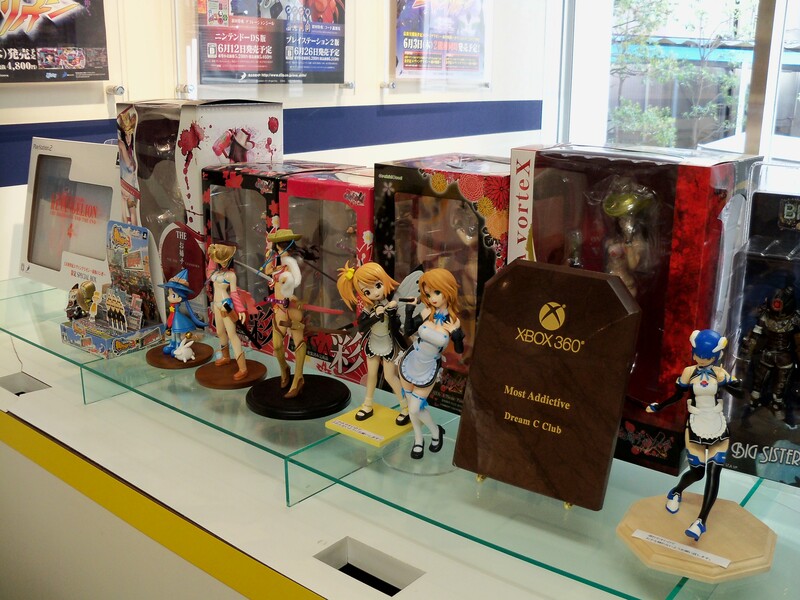 They company mainly makes games for consoles, mobile phones, and the internet. Dream C Club is their popular game at the moment, which is more popular among men. The game has not been released in America, primarily because America views the game as encouraging pedophilia, which is different than how it is viewed in Japan. It was explained to me by Jared Wilk’s brother, who teaches at a school in Tokyo that nerd boys play Dream C Club to feel a happy, warm feeling about the female character which is similar to how one may feel for their mother, sister, or daughter. Vitamin Series is another game from D3 that is new and popular, except this game is popular among women. D3’s mobile games service, Simple 100 Series, used to cost 100 yen per month and gave users access to over 250 casual games. Now the company offers Simple DX Series, which is all their casual games for free, with the catch being in-game advertisements. It is here that our group first learned how little success Xbox 360 games have in Japan. I found this interesting, since Xbox games are hugely popular in America, whereas the PS3 did not do so well. Is this maybe because of the possibly true rumor that oriental people feel nauseous while playing first person shooter games?